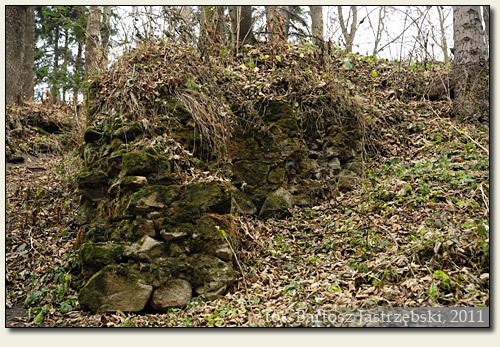 Searching difficulty: What has remained of the castle is concealed in the forest on the hill. What is more, local inhabitants do not know anything about it. 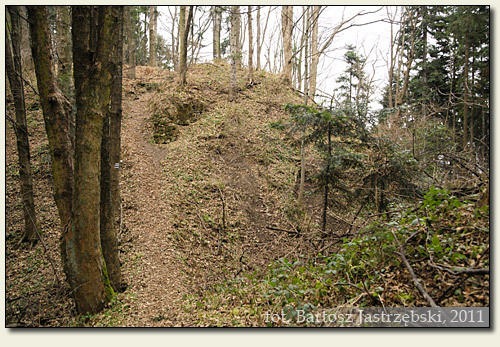 Access difficulty: You must climb up the Żar Hill, also styled as Włodkowa Hill. The climb is not very steep, but long. 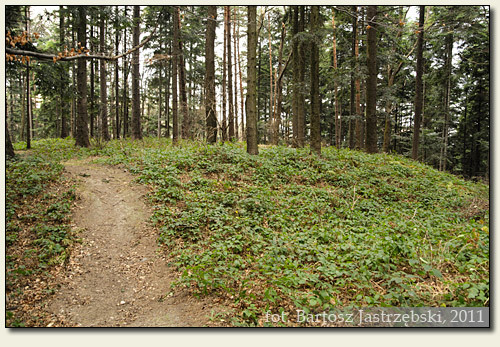 You need to arrive in Kalwaria Zebrzydowska and park by the sanctuary. Next you have to walk along “Marian Paths” up the hill (green trail). You may recognize the path by the fact that everyone heads toward there and that there are “Stations” of the Cross by it. You should stick to the green trail all the way long as far as you reach the black one, which turns right to the castle. En route two landmarks take place: the ruins of the church (do not mistake them for the ruins of the castle) as well as the grod. 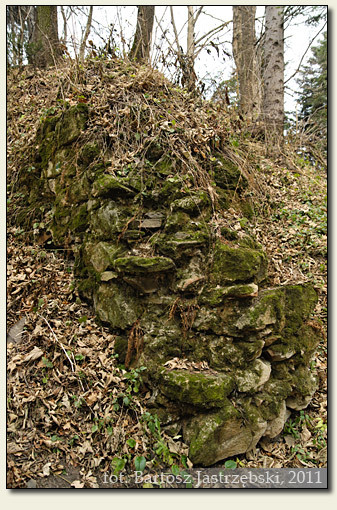 The remainders of the castle have not been researched so far therefore not much is known about its history. 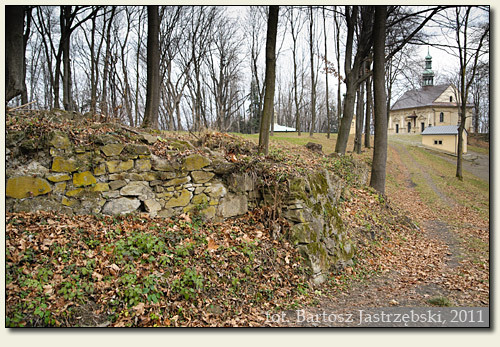 Reference to the castle appeared for the first time in documents from 1440, when dukes of Auschwitz handed over to the king Władysław Warneńczyk in return for Zator. In the latter years the castle was repeatedly an object of pawns. Leaseholders were among others Mikołaj Serafin, the Skrzyński and Komorowski families. 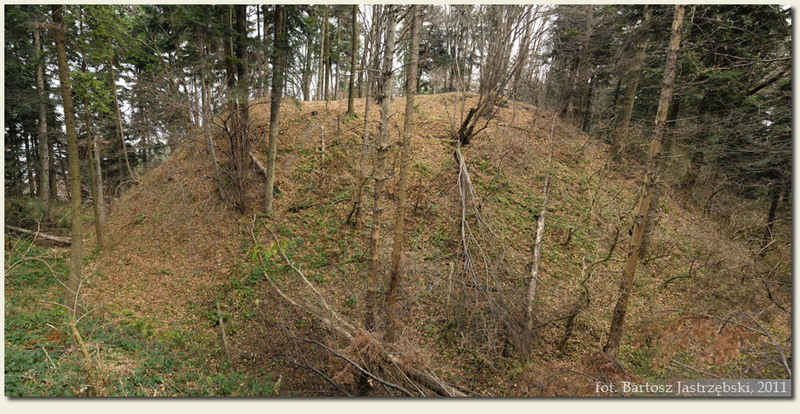 In 1477 the castle was destroyed by order of Kazimierz Jagiellończyk when the then tenant - Mikołaj Komorowski - wished to give a stronghold to Maciej Korwin. In 1564 the castle was mentioned again in the inspection.